While anticoagulant rodenticide poisoning is dangerous to the patient and frightening for the owner, there are many positives when managing exposure to this pest control chemical. Since clinical signs do not develop for 3 to 5 days, the clinician often has adequate time to initiate treatment before signs develop. The prothrombin time (PT) test can be used to decide if treatment is needed and how long to continue treatment. The most important factor with regard to a positive outcome is that there is a true antidote, vitamin K1. The clinician must keep in mind that it is very important to verify the active ingredient in the rodenticide product since there are multiple types of rodenticides and the color or shape of the bait is not coded to a specific type of rodenticide. Additionally, many animal owners may use the term d-CON (rb.com) to refer to any rodenticide, regardless of the brand name or type. In the past, most patients were exposed to anticoagulant rodenticides. However, clinicians can expect to see an increase in the number of bromethalin and cholecalciferol cases seen in their practices due to Environmental Protection Agency regulations that went into effect June 2011, which limit the sale of second-generation anticoagulant rodenticides in the consumer market. For patients that have recently ingested an anticoagulant rodenticide, the clinician should consider performing decontamination. Clinicians most commonly choose to induce emesis. If the patient ingested bait pellets, emesis is likely to be effective for up to 4 hours. Bar forms of bait may remain in the stomach for a longer period of time, allowing effective emesis for as long as 8 hours after ingestion. If emesis is unsuccessful or contraindicated by underlying conditions, such as severely brachycephalic patients and those with seizure disorders or significant cardiovascular disease, the clinician may instead give one dose of activated charcoal with a cathartic. For patients presented over 8 hours after ingestion, emesis or activated charcoal is unlikely to be effective. Monitor PT and only administer vitamin K1 if PT becomes elevated (see How Vitamin K1 Works). Dose: Vitamin K1 should be administered at 3 to 5 mg/kg PO divided Q 12 H with a fatty meal to enhance absorption. Cautions: To avoid an anaphylactic reaction, vitamin K1 should not be administered IV; anaphylactic reactions may also occur when it is administered IM or SC. Oral administration is ideal because vitamin K1 is delivered directly to the liver where clotting factors are activated through the portal circulation. Monitoring: It is advisable to check PT at 48 to 72 hours following the last dose of vitamin K1; if PT is still increased, continue vitamin K1. If the clinician decides to monitor PT, a baseline should be run and then repeated at 48 and 72 hours after exposure. The baseline PT is very important because it determines the degree, if any, of exposure to anticoagulant rodenticides. No treatment is necessary if PT remains normal after 72 hours. However, any elevation in PT warrants treatment with vitamin K1 (see Prophylactic Vitamin K1 Therapy). The clinician should remember that vitamin K1 administration can result in normal PT values because new clotting factor synthesis only requires 6 to 12 hours. Therefore, if PT is being monitored, no vitamin K1 should be given. Anticoagulant rodenticides work by interfering with the production of clotting factors II, VII, IX and X. During normal production of these factors, vitamin K1 is converted to vitamin K1 epoxide. The enzyme vitamin K1 epoxide reductase then converts vitamin K1 epoxide back to the active form of vitamin K1. This cycle continually repeats to create active clotting factors.Anticoagulants inhibit vitamin K1 epoxide reductase, leading to depletion of active vitamin K1 and halting production of active clotting factors. Factor VII it is the first clotting factor affected because it has the shortest half-life. Depletion of factor VII leads to elevation of PT. IF a toxic dosage of rodenticide has been consumed, PT becomes elevated within 36 to 72 hours of ingestion. For patients that are actively bleeding on presentation, stabilization is critically important. Decontamination measures are not appropriate in the symptomatic patient since exposure would have occurred 3 to 5 days prior. It is important to remember that bleeding can occur anywhere in the body and many poisoned animals are not presented to the veterinarian until clinical signs develop. Many patients present with vague signs of lethargy, weakness, and anemia. Common clinical signs are dyspnea, coughing, and hemoptysis due to bleeding into the pleural space and/or pulmonary hemorrhage. Tracheal constriction due to thymic, peritracheal, or laryngeal hemorrhage may also result in severe dyspnea. Bleeding into other body cavities, such as the abdomen and joints, is also common. Abdominal distention, lameness, bruising, hematomas, or muffled heart sounds are possible. Some animals may present with frank external hemorrhage from surgical or traumatic sites, the gastrointestinal tract, or orifices. Hemorrhage into the brain or spinal cord may result in severe central nervous system disturbances, including seizures, paresis, paralysis, or acute death. The clinician must first determine the extent of the patient’s blood loss. Physical examination findings coupled with packed cell volume (PCV)/total solids (TS), a coagulation profile (if possible), and potentially thoracic and/or abdominal radiographs or ultrasound will help the clinician decide the best course of treatment. Significant hemorrhage, especially into a noncompressible location, such as the pleural space, brain, or abdomen, should be addressed by providing clotting factors with plasma or fresh whole blood. Whole blood is preferable if marked anemia is present (PCV < 25%). However, fresh plasma, fresh-frozen plasma, or cryoprecipitate-poor plasma can be used. Plasma should be administered at 10 mL/kg over 1 to 4 hours and repeated 2 to 3 times as needed. If fresh whole blood is chosen, blood typing and a cross-match should be performed prior to the transfusion. It should be administered at 6 to 10 mL/kg and repeated 2 to 3 times as needed. Initial transfusion rate for fresh whole blood should be slow (0.25 mL/kg/H) for the first 15 minutes while monitoring for a transfusion reaction. This slow initial rate may not be possible in patients with immediate life-threatening hemorrhage. If whole blood or plasma products are not immediately available and the patient is experiencing life-threatening bleeding into the chest or abdominal cavity, an autotransfusion can be performed. This will replace oxygen-carrying capacity while a source of clotting factors is being found. IV crystalloid fluids may be needed to maintain cardiovascular support. Many patients will require supplemental oxygen. A thoracocentesis can be performed if hemothorax impairs oxygenation and ventilation; however, replacement of clotting factors should occur first to prevent further hemorrhage due to the procedure. 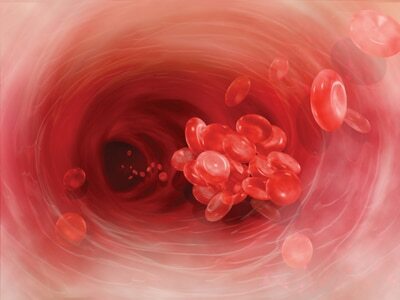 If not already performed, a coagulation profile should be run once stabilization measures have taken place, preferably with a blood sample taken before the transfusion started. If the patient is actively bleeding from an anticoagulant rodenticide, PT should be prolonged. Elevations in activated partial thromboplastin time (APTT) and activated clotting time (ACT) may also be present. Other expected clinical pathologic abnormalities include anemia, thrombocytopenia, hypoproteinemia and, if bleeding is affecting the respiratory system, decreases in CO2 and pO2 (partial pressure of oxygen). Once stabilized, the patient should receive vitamin K1 at 3 to 5 mg/kg PO divided Q 12 H given with a fatty meal to aid in absorption. Once vitamin K1 is supplemented, it takes at least 6 hours for the patient to regenerate clotting factors. The patient should be hospitalized until PT is normal. When the patient is discharged, vitamin K1 therapy should be continued for the time frames listed under Asymptomatic Patients. PT should be checked at 48 to 72 hours following the last dose of vitamin K1, which can be discontinued if PT is normal. If PT is increased, therapy with vitamin K1 should be reinstituted for another 2 to 3 weeks; then PT retested. The owner should restrict exercise during this time. 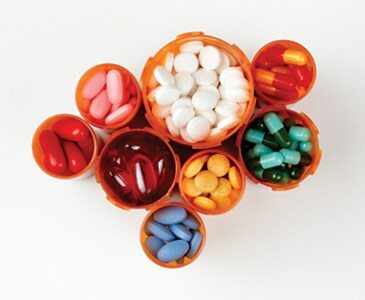 If possible, avoid the use of other highly protein-bound drugs during the course of treatment. Prognosis depends on the severity and location of the bleeding. For example, a patient that bled into the brain and presented with seizures will have a much more guarded prognosis than a patient that bled into a joint and presented with lameness. 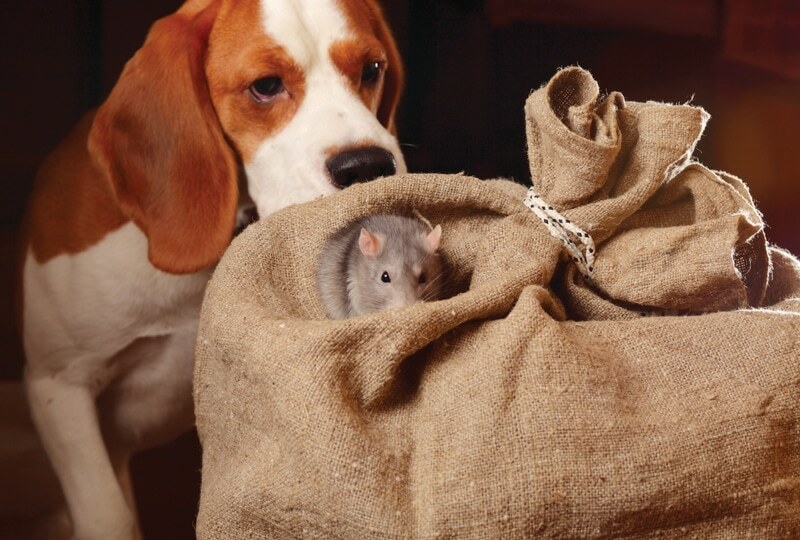 Merola V. Anticoagulant rodenticides: Deadly for pests, dangerous for pets. Vet Med 2002; 97:716-722. Sheafor SE, Couto CG. Clinical approach to a dog with anticoagulant rodenticide poisoning. Vet Med 1994; 94:466-471. Camille DeClementi, VMD, Diplomate ABT & ABVT, is the Senior Director of Medical Records for the American Society for the Prevention of Cruelty to Animals (ASPCA). She oversees the quality, consistency, and integrity of medical records for the following ASPCA programs: the Animal Poison Control Center, Bergh Memorial, and Spay/Neuter programs. Dr. Clementi also provides staff training and is a media spokesperson for the Animal Poison Control Center. In addition to speaking on various clinical veterinary toxicology issues, she is a certified veterinary journalist (CVJ) and has authored peer-reviewed articles for the Journal of Veterinary Emergency and Critical Care and Veterinary Medicine. Dr. DeClementi received her veterinary degree from University of Pennsylvania. She practiced emergency and general medicine in Pittsburgh and Tennessee and was a past co-owner of the Animal Emergency Clinic in Campaign, Illinois, prior to her current position.